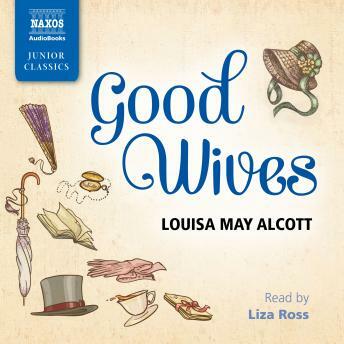 The March sisters are among the most beloved characters in children's literature, and Good Wives - the second volume of Little Women - picks up where its predecessor left off. As Meg marries John, Jo is faced with a romantic dilemma of her own, Amy travels to Europe, and Beth becomes increasingly ill. In this sensitive and lively novel, Alcott - 'the Thackeray, the Trollope, of the nursery and the schoolroom', as Henry James called her - is on sparkling form.